The more holiday wall decor, the merrier! 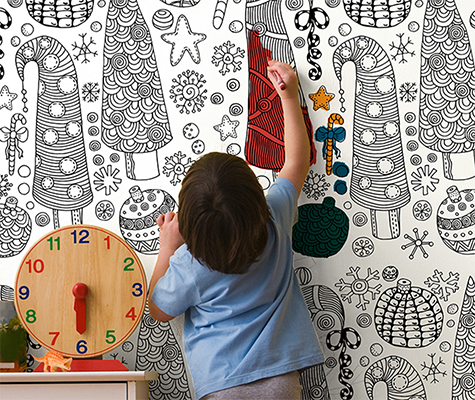 Deck your halls and walls with Coloring Wallpaper. Not only does this revolutionary product transform your home into a winter wonderland, it also gives friends and family a chance to color while they wait for Santa's sleigh to arrive.